Who put the stripe in my granite? The two gods that gave birth to much of the Sierra Nevada were fire and ice: igneous rock (rock formed from the cooling of super-hot magma or lava) and the ice of glaciers. Evidence of both is all around you on the trail. The magma was first, slowly cooling and solidifying beneath the surface of the earth into the granites that compose so many of the monuments we know (and, in some cases, climb). Then came the ice, in the form of huge glaciers, which moved across them – sometimes polishing the surface to the smoothness matching that granite countertop you have in your kitchen, other times leaving huge erratics (the boulders we see strewn across flat areas randomly, like one-ton runes cast there by giants). The “domes” (or fractions of domes) that we know so well are the direct result of the granite sometimes yielding to the glacier, and the glacier sometimes yielding to the granite. At times the geology is smaller and more intimate. Take, for example, the igneous rock dikes you’ll see from time to time along the trail. At first they look almost man-made. After all, straight lines rarely occur naturally. But the strips (like the one you see in the photo, above) were not applied by lunatic road-stripers from the Department of Transportation who got lost in the woods. Instead, these rock dikes were formed in a two-step process. First, the granite had to harden and split. It turns out the granite hardened better than most rocks because it cooled so slowly, allowing very large crystals to form within it. But even the hardest of rocks can split; there is nothing harder than a diamond and it can be cleaved in two. When that happened a space was formed between. At some point that space between the two parts was filled with more magma, often of a different composition. In the photo the white strip is made up of rock that is predominantly feldspar. All these eons later it sits right there, a few feet from the trail, ready to tell you a story…if you’re listening. If you’ve read Planning Your Thru-Hike of the John Muir Trail you know about the gear triangle. For those who haven’t (you haven’t?! ), the gear triangle is a graphic representation of this principle: when it comes to backpacking gear, you can get it light, comfortable, or cheap; pick any two. If you are a more affluent hiker (or if you are of a certain age, the kids are grown, you’ve downsized, and there are more discretionary funds available), you may want to go expensive and light across the board, from your shelter system to your titanium spork, which is a quarter of an ounce lighter than the plastic one. 1. Don’t skimp on footwear. A good pair of boots or trail runners, durable enough to go the distance, and fitted well enough to keep your feet in good shape, are worth any price. Even if you have to buy a second pair (if the first doesn’t work out), it’s money well spent. The premium you spend on your tent, pad, sleeping bag, backpack, and bear canister could mean a huge difference in your base weight. Going for strictly the top-of-the-line when it comes to trekking poles, camp stoves, a water purification system, and clothes will add up (subtract down?) at a much slower pace. 3. Spend the extra money if it means you can buy one thing to replace two (or more) things. I carried an e-reader, GPS, and cell phone on my last thru-hike. Next time I may bring one device with the functionality of all three. Sleeping quilts can be found (to replace sleeping bags) that can double as coats to wear while sitting around the campsite. The right sleeping pad can provide comfort at night and stability to your backpack during the day. 4. Consider making it yourself. 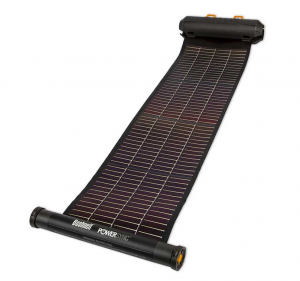 The make-your-own-gear (MYOG) movement has been going strong for years, and, with a little effort, can be a great way to carry the lightest-of-the-light, custom made for you, at much less expense. If you want to go light, you are going to have to spend some money. But choosing your targets carefully will mean that for every dollar spent you eliminate the most weight. 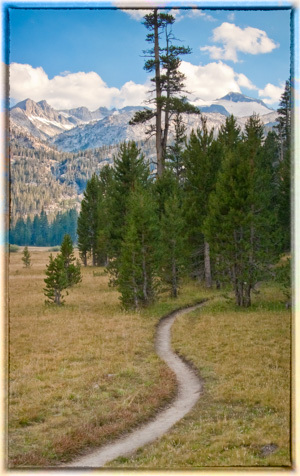 This photo, from the cover of my book, shows one of the easiest sections of the entire trail: Lyell Canyon. After two complete thru-hikes and more section hikes than I can count, I can say—without fear of contradiction—that there is lots more to the John Muir Trail than mosquitoes and walking uphill. The JMT is an amazing journey and I’m looking forward to getting back out there next year. But, like most journeys in life, some parts are harder than others. Here are my nominations for the easiest and hardest parts of a JMT thru-hike. I assume you are hiking southbound. First runner up for easiest: first day out of Muir Trail Ranch. While it’s true that you are climbing this entire day, if you work things like I do (a two-night stay at MTR) you are stepping off well-rested, well-fed, clean-beyond-clean thanks to their ringer washing machine and opulent spring-fed baths, and probably (because of what you have been doing for the last week or so) in the best shape you’ve been in months, maybe years. The trail that day is mostly shaded, mostly wide, and mostly dirt. Great stuff. 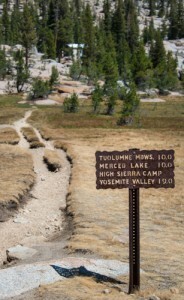 Easiest: Tuolumne Meadow to the end of Lyell Canyon. Take a look at a profile of the entire trail. You can’t miss this eight-mile stretch. It’s just about the only portion of the entire 211 miles that isn’t going up quickly, or going down quickly. Add that you are walking alongside a river, between two ridges, towards mountains that often are dusted with snow, and you have just about the perfect setting for walking in the wilderness. There is a reason the cover of my book displays a photo from this part of the trail. It’s easy on the legs and easy on the eyes. First runner up for hardest: the last day on the trail. This is cheating a bit, since much of what you will negotiate on the last day is actually off the John Muir Trail, but if you hike from Guitar Lake, to the summit of Mount Whitney, to Whitney Portal, you are in for a very long day with two great challenges. The first is obvious: the climb to the summit. Two days before I hiked that part for the first time I met someone who described it as “two hours of easy walking.” Well, perhaps for her. For me it’s about six hours of hard climbing. The second challenge is the middle-third of the descent from the summit. The switchbacks, which you encounter first after going over Trail Crest, are repetitious, but no big deal. The last few miles are in relatively thick air, on a wide, well maintained trail, which gently descends. The middle third may be downhill, but it is steep, rugged, and an easy place to break a limb if you get in a hurry. Hardest: Glen Pass. Many people disagree with me on this, but Glen Pass has taken just about all I had each time I’ve climbed it. It’s a long, steep climb, with a cruel psychological twist near the end. Just as you reach the top of a climb that seems to go on forever, you find what appears to be the top of the pass. As you sit there, resting, it occurs to you that you can’t see where the trail goes back down. You also can’t really see where it could go up. The only thing in front of you is a sheer, black wall rising in your face. It’s about then that you start to pick up the zig-zagged lines of the final switchbacks to the true top of the pass. Glen is a son-of-a-gun. There is something to be said for experiencing this alone, and solitude on the trail IS possible. One of the reasons many people hike the John Muir Trail is to experience some solitude. Both of my thru-hikes have been solo affairs, so I can relate. It’s getting harder and harder, however, to walk the trail by yourself. 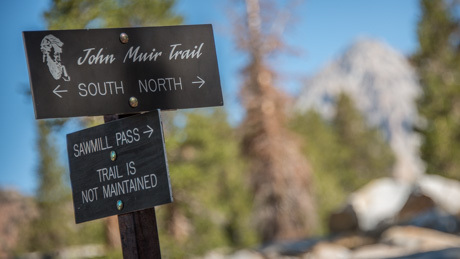 Thanks to the internet and other media, a lot more people are hiking the JMT. But just because there are lots of people on the trail doesn’t mean you have to see them all. Here are several things you can do to get some time to yourself. Hike southbound. You will have a far better chance of avoiding folks if you are traveling in the same direction as the crowd, and nearly 90% of JMT hikers hike southbound. You will only see others going south if they are hiking substantially faster (as they pass you) or substantially slower (as you pass them). That often occurs when you (or they) are on a break, which makes the interruption short-lived. One exception: if you are hiking slower than the groups just behind you, but you are hiking for more hours each day, you may find yourself seeing the same people over and over again. This happened to me last year. Each morning, normally around lunch time, there were three small groups who would pass me, dumbfounded that I had managed to get in front of them when they had passed me early the day before! There really wasn’t any mystery, I was simply walking a few hours before they left their campsite each morning. Camp at dry campsites. This technique has the added benefit of no mosquitos and, often, great views. A dry campsite that is several hundred yards off the trail will work even better. I don’t do this often; although I like the solitude during the day, I actually prefer having some company in the evening. When I do decide to “go dry” it’s quite a different experience; you really get the feeling of being alone in the woods! Take your breaks well off trail. You would be surprised at how little you have to travel to establish some separation. Often, just a four or five minute walk means all the difference. A little map reconnaissance is in order, however. I did this once, several miles south of Red’s Meadow, by turning perpendicular to the trail and walking uphill several hundred yards. I found the perfect spot (convinced that I was the first person to ever find it), slipped off my backpack, and started preparing a snack. Three or four minutes later a couple practically tripped over my backpack. Instead of getting off the trail, I had simply cut short a long, looping, switchback, and had settled just a few feet from the trail! If you truly want to never see another soul for the duration of your two- or three-week hike, the John Muir Trail is probably not for you. But if you simply want a little time to yourself to experience nature’s wonders, it can be done. Downhill, over an uneven trail, with something pretty in front of you to distract the eye, is exactly when trekking poles can save you from a fall. In 2011 the results of a study were published in the journal Wilderness & Environmental Medicine regarding hiking and injuries. The results were a bit surprising, and should tend to encourage all first-time John Muir Trail thru-hikers. The study examined students at the National Outdoor Leadership School (NOLS) in the Rocky Mountains. The data were collected over two hiking seasons, and over 1,200 hikers were involved. Indeed, only 2.2% of the studied population experienced any kind of injury. Half the injuries that did occur involved the knee, and all but six involved either the knee or the ankle. How can you make this good situation even better? That’s easy. More than half of the injuries were attributable to overuse or overexertion. That finding doesn’t surprise me a bit. It is very easy to overdo it, especially on the first few days of the hike (and especially since, if starting at Happy Isles, you will be doing a lot of climbing on the way to Tuolumne Meadow). The best way to prevent yourself from an injury involving doing too-much-too-soon is to, first, make sure you are in good shape before you step on the trail, and, second, take frequent breaks & hold down your mileage during the first quarter of your thru-hike. My dad, who was an airline pilot during the time of propeller driven airliners, would often be asked how dangerous flying was. He would answer that the most dangerous part of any trip was the drive to and from the airport. The same can be said of a John Muir Trail thru-hike. If you come upon Marie Lake near midday, why not swim out and claim the large island for your lunch spot? It’s a lot harder to die in the wilderness than it is in the city. Primarily, that’s because there are no cars! Eliminating vehicles from the environment, alone, makes anywhere a far safer place. But right at the very top of the list of causes of death in the Sierra Nevada is drowning. 2. Consider taking your dips during your lunch break (oh, and by the way, there is no need to wait an hour after eating for that dip in the lake). Lunch is better than late evening simply because you won’t be as fatigued. You’ll also dry out much faster when you emerge. 3. If you must swim alone, don’t get in over your head (figuratively and literally). I grew up on a lake in Michigan and spent whole summers continually in the water. I’ve spent years surfing in Hawaii. My rule is this: if I am by myself, I don’t go deeper than waist high. That gives me plenty of room to swim and to submerge myself in order to run water through my hair. It also allows me to easily stand up. Finally, all these lakes are in the wilderness, but not THAT far into the wilderness. Chances are you are going to see other people while you backstroke. You aren’t going to offend me if you’re naked, but you might offend others. Ask anyone who works for the government and they will all tell you the same thing: it’s amazing that we can manage to accomplish anything. The needlessly complex miasma of laws, rules, and regulations make even the simplest undertaking seem like an exercise in futility. Common sense solutions are often smothered in their cribs. Every proposal, no matter how benign, will reliably be opposed by someone. 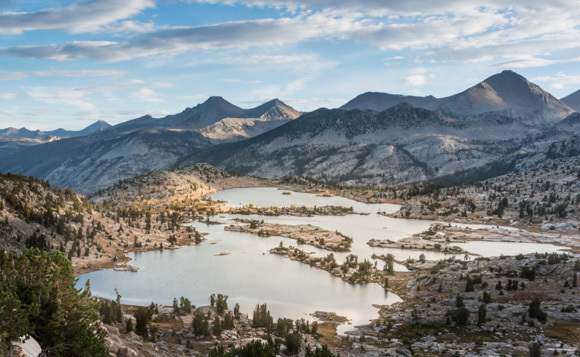 Imagine what it would take to build the John Muir Trail, today. I suspect it would be impossible, at least as it stands, now. That is what makes the 187 words, below, all the more remarkable. This is the entire text of a proposed act, submitted to the California legislature on January 28, 1915. Section 1. The sum of ten thousand dollars ($10,000.00), or so much thereof as may be necessary, is hereby appropriated out of any moneys in the state treasury not otherwise appropriated, to be used in accordance with law toward the construction of a trail in the high Sierra region of California and connecting the Yosemite National Park with Mount Whitney and vicinity. Section 2. The moneys hereby appropriated are to be expended under the direction of the state department of engineering and of the sum hereby appropriated, five thousand dollars ($5,000.00) shall be made available immediately and five thousand dollars ($5,000.00) shall be made available April 1, 1916. Section 3. 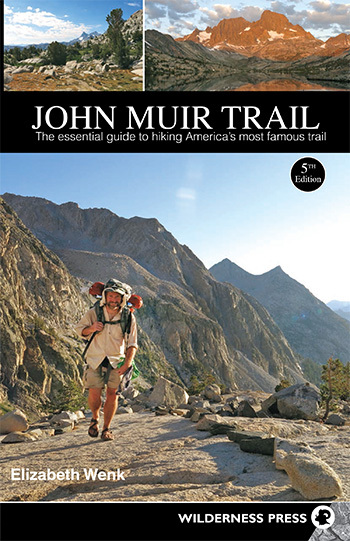 The trail to be constructed with the moneys hereby appropriated shall be known as the “John Muir trail” in honor of the late John Muir who has performed an inestimable service in making known to the world the wonders of the mountains of California. 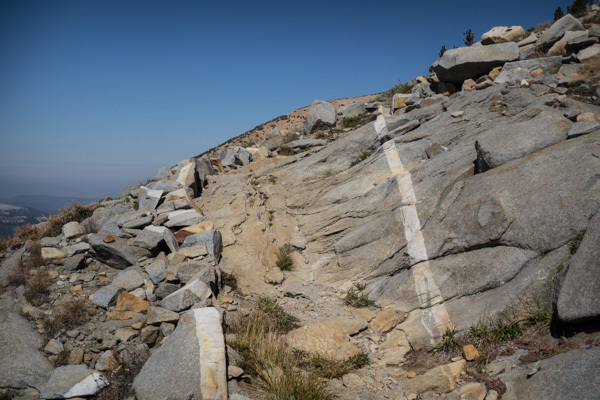 Basically, this act tells California’s engineering department to build a trail between Yosemite and Whitney and spend no more than $10,000 doing it. Oh, and name it after John Muir. The text is as clear as a newborn baby’s conscious. At a very minimum, there is no need to pass the act in order to know what’s in it! 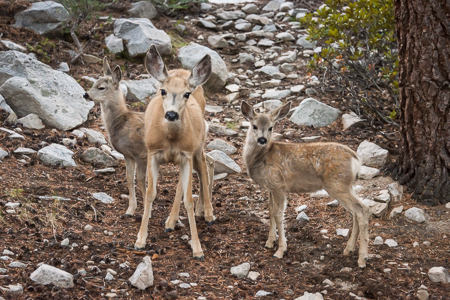 One of the very best parts of any John Muir Trail hike is the unexpected. On my first thru-hike I met, at the top of Forester Pass, a gentleman who worked on the same tiny spit of land, on the same island, in the middle of the Pacific, as I do today, only he had worked there several years earlier. What a coincidence. Last year, I kept running into readers who had purchased my book and recognized me from the photos inside. Although you certainly expect to have encounters with wildlife, they often come as a surprise, when you least expect it, like the time I turned a corner to find three bears straddling the trail. Perhaps my most memorable surprise occurred in LeConte Canyon, early one morning. I had hiked a couple of hours before dawn and it was time for me to stop for a breakfast break. The morning was young and I hadn’t yet seen man or beast. As I sat on a log, enjoying my mix of granola, dried berries, nuts, and reconstituted powdered milk, there wasn’t even a breeze to rustle a branch. It was so quiet I ought to have been able to hear a hiker from one hundred yards down the trail, or a mouse crawling along the log that made my make-shift dining table and chair. Breakfast over and feeling strong, it was time for me to get on my way. Now, “getting on my way” is a bit of a process. After putting everything away, I have to sling my camera case over my shoulder, put on my backpack, make at least five or six adjustments to the variety of straps, put on my gloves, put on my hat, pick up my trekking poles, loop my hands through the straps, look around my feet to ensure I haven’t left anything, and then take a step. All that takes at least a couple of minutes. During those minutes, I wasn’t really paying much attention to what was going on around me. When I finally looked up and turned to take my first step, the photo below was what I saw, no more than a two or three yards from me. I had no idea they were there and never heard a single sound. I don’t read deer minds, but based on the look on Mom’s face, I feel pretty sure that the caption on the photo accurately describes her thoughts. What will be the best part of your John Muir Trail hike? No one knows, and that might be one of the best things about it.